Every year we have Parent Night in our classrooms, it's a perfect opportunity for current parents to come to the classroom and receive some Montessori lessons themselves. Our classroom Guides will do a presentation or lesson on the Montessori Method or demonstrate an approach to a specific subject in the classroom. Our students become the teacher and the parents become the student. In the end parents get a clear understanding of how Montessori life is all about and how we can implement it on a daily routine. As we gear up for our Spring Science Fair on March 24, we continue to work on some exciting topics in our science classroom. 4th grade: They did amazing work tracking weather patterns and our now learning about the energy flow in our complex ecosystem. Labs included an exciting study of Bernoulli’s principle with the leaf blower, and making a class size food web. You will find the 5th graders still in space, but a little closer to home with a study of small space bodies and the moon. Our talented artist scientists created cartoons showing off their knowledge of asteroids and more. Do you know the difference between a meteorite and a meteoroid? The moon who we thank for the tides and more was studied using Oreos to model the phases of the moon. A delicious adventure for sure! Our 6th graders are also studying about the history of life on earth including the evolution of animals and the geological time scale. This includes a study of adaptations and natural selection. Did you know T-Rex is related to a tasty bird found on many of our dinner tables…fried chicken anyone? Our chemists have been studying the laws of gases starting with kinetic molecular theory and finally wrapping up with the ideal gas law. The big lab for this unit required our 7th graders to apply real life gas behaviors like a shrinking marshmallow to the gas laws which govern relationships between temperature, pressure and volume. Ask them to explain why our tires were so flat during these long winter months. Finally our 8th graders have been exploring the essence of existence in our DNA which makes us who we are. This studied required them to track traits in family pedigrees, and create tasty models of DNA. As we approach the end of the year we will be wrapping up the advanced biology class with dissections including a fetal pig. My young scientists have grown so much since the beginning of the year and we look forward to being able to explore some science of spring projects in the classroom! How is Ozzie Reading Club beneficial to our students. Ozzie's Reading Club is an eight-week reading incentive program sponsored by the Kane County Cougars. The program is open to children in grades K-8; however, to participate, a student's school must be a member of the Ozzie's Reading Club program.Ozzie's Reading Club tracks the progress of a student's reading around the bases of a baseball diamond with the three bases and home plate representing two weeks worth of reading. 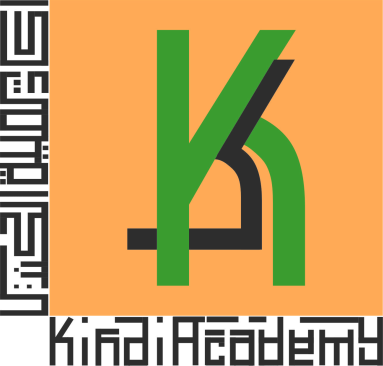 The school determine his or her own reading requirements for each base which is 15 minutes daily. Students completing the program's requirements "hit a home run" and earn a free ticket to an Kane county Cougar baseball game which is May 7th or May 29th. Other rewards may include a bookmark, a voucher for a hot dog and soda as well as an official Ozzie Reading Club drawstring bag. But we went a little future by providing little incentives of our own for every base they earned. The toddler classroom is continuing its mission of fostering independence and we are excited to see great developments in all of our students! The children are not only learning new material every day, but they are becoming inquisitive and developing the passion and patience needed for meaningful exploration. One of our missions for this month is for the children to recognize the cycle of project and work completion, from start to finish--this includes organization, attention to detail and an overall appreciation of materials. The older toddlers are making great strides with mathematics, as they are able to make the quantitatiive connection with the montessori methods and tools carefully designed and integrated into the classroom. Everyday we continue to work on creativity through exploring various styles of art, food and culture. Last week, we analyzed snow and created a winter collages, used kitchen tools to create delicious jellies, muffins and guacamole, a tasty experience our toddlers are very excited to talk about and probably do at home as well, be sure to ask them! In the theme of seasons, we have been going outside more, to not only develop gross motor skills and social skills, but also to plant the seeds for nature appreciation, ecology and the wide spectra of earth sciences. We can't wait to continue our exploration together! Speaking of exploration, we also want to give a warm welcome to our newest explorers, welcome Fatima and Zainab Hassan!! We also want to thank the amazing families who have participated in the sharing basket activity! An amendment had been made during the early part of November that students are to be reading and testing at least ONE BOOK per WEEK. This means that if they have 21 days due to a holiday break, then students are required to read and test for a total of 3 AR books. Lastly, AR reading is a non-negotiable of 30 minutes each night seven days a week and including all holidays / time off from school. 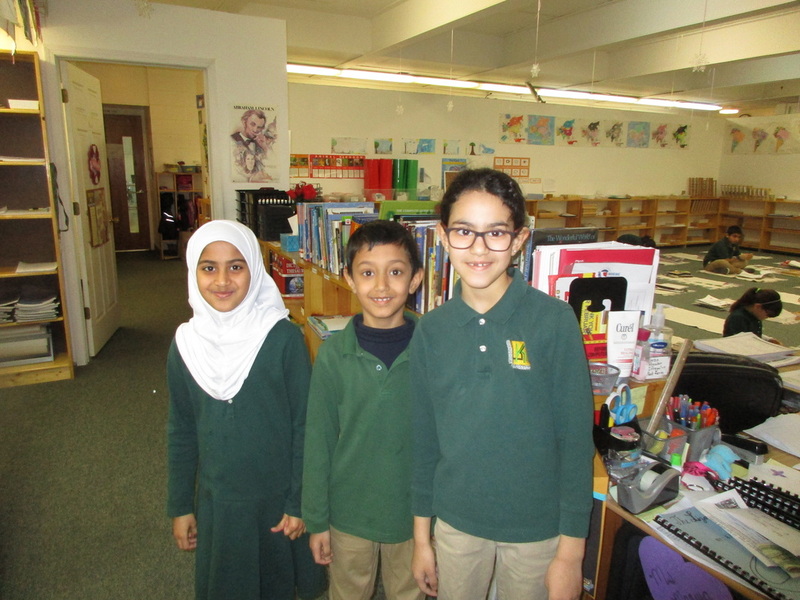 * Sakina Akbar, Esfand Shaheryar and Kenda Mishal have all reached 20 points in the Accelerated Reading Program. We commend them for their hard work. The month of February was dedicated to reading different versions of Shakespeare's play called Twelfth Night. We spent a lot of time having immersion lessons which helped the 4th and 5th graders learn to appreciate and understand the humor in Shakespeare's place about love. Writing was incorporated to have students critically analyze the characters, the plot, and Shakespeare's purpose for writing this play. We look forward to the new season – Spring….. FINALLY!! With that we will introduce activities related to spring. Children are happy and excited as we bring new work to the practical life area. We expect to be working on developing the fine motor skills and advancing our kids to the next level by using needles for stringing and sewing. As you may know already, children have been keeping busy preparing snacks on a daily basis. We will be focusing on individualizing daily food prep activity. For example, making guacamole and mashed potatoes… YUMMMMM!! By doing this, the children will have the real experience of chopping onions and tomatoes, scooping avocados, peeling potatoes etc. Inadvertently, they will learn kitchen verbs like grate, mash, chop, sprinkle and so on. As routine, Language and Math are done on a daily basis and new skills are added as per the child's development, like building new skills for clock, money, fractions and grammar (Nouns). Our study of Europe is moving along! We will continue to learn more about European countries like Ireland, France and Italy as part of the upcoming St. Patrick's Day activities. The Kindergartners will be introduced to Roman Numerals. Spring is a great time for introduction to life cycles of different animals. This month, we will work on the life cycle of a frog. Also, as a part of talking about healthy/unhealthy food, we will discuss the food pyramid. As an important part of the sensorial area, we are also excited to explore five senses with our children. During circle time, we read books to children everyday. Here is a snapshot of some books that we covered during the month of February. "The entire focus of the Nature’s Classroom Institute is on creating an excitement around education. By engaging students to actively participate in the learning process, the information they learn becomes relevant", Geoffery Bisop, the founder of NCI says about the philosophy of NCI. We are having an informational session next Mondy, February 8th at 3:00pm in room 102. Bring all your questions and have a chance to talk to parents whom children were on the trip before. This trip is for students in grades 1-8. We had many special events in the month of February, which made it one of our busiest months of the school year. We would like to thank all of the Second and Third grade parents who baked delicious treats and also volunteered for our bake sale in February. Thank you for all your hard work and dedication. We would like to take this opportunity to thank all the parents for attending the Parent’s Night in February. Our children were so excited to show off what they have learned in the classroom so far this school year. The children enjoyed designing and building projects in Kids Design Engineering and Geo Spaces at the DuPage Children's Museum. We would like to thank Dr. Muhammad Khan for talking to our students about the importance of dental health. Also, thank you to Mrs. Andrea Bynum for talking to our students about African American History. We really appreciated the engaging information our students received from both of our parent presenters. Our students are enjoying Junior Achievement, thanks to our presenters: Mrs. Wasaf Adnan, Mr. Mohammad Aslam and Mrs. Sarah Khan. We would like to thank all of our parent volunteers from the bottom of our hearts for their time, commitment and dedication. The students researched and presented a famous African American hero during Black History Month. We were very excited to hear the students' reports and view their poster boards depicting their heroes. Our Second year students are working on writing detailed paragraphs and the grammar box for prepositions in language. In math, the students are working on fractions, measurement and times tables 7. In geography, the students will work on advanced landforms. Our third year students are busy writing a five paragraph essay. In math, they are learning equivalent fractions, angles, estimation problem solving and long division. In science, the students are studying the systems of the body. In geography, the students are working on map skills. Dear parents in the previous month our Arabic department held the fist annual ARABIC SPELLING BEE. It was a great success with all the kids from 1st Grade to 8th participating. Grades 6-9: Level1: Mariam Metchil. Congratulations for all our students for their hard working. It was nice to meet you our devoted parents at the parents’ night.Also, we’d like to give our sincere Duaa for Mrs. Nariman and wish she’ll have full recovery soon, and would welcome Mrs. Rahaf ( Mrs. Star) for joining us for this situation. All our students are encouraged to participate in the coming Quran Competition. It will be on the 20th of April inch Allah. In our regular classes we are still focusing on the proper pronunciation of the new Quran words and on memorizing the specified Surat for each Grade. The middle Grades have been in a spiritual Journey with our Prophet in His Isa’a and Miraj( The night Journey and ascending to heavens). While, the upper grades learned about the signs of Judgment Day both the minor and the Major. Working together to polish their Islamic Identity and values. Middle school students have been busy! We had two awesome field trip adventures recently! We went to the Museum of Science and Industry and learned all about the hatchery for chicks as well as how to keep our minds from feeling restless. We also traveled downtown on a field trip to the Shakespeare Theatre on Navy Pier. We watched “The Twelfth Night” which was in conclusion to the play we read in class. In the classroom, students have been working nonstop! In Language Arts we have read numerous non-fiction essays by Maya Angelou and Harriet Tubman. ​We have also started reading “Into the Wild” which is a true story about a young man who journeys throughout the United States to make his way to Alaska and has numerous adventures along the way. In our history classes, the students have been studying propaganda used during World War II. We have discussed the various reasons for each type of propaganda and how each was used during the war. The students have had the chance to make their own in support of World War II. We have also been studying the US Constitution. We were privileged to have Ms. Nadia Shamsi from AMAL Law Group come into our classroom and talk with us. Nadia is a criminal defense attorney and was able to discuss the legal process from arrest through the end of the trail. She was very insightful and the students learned a ton! ​The 3-6 yr. Spanish classes are fluently singing through the Spanish alphabet! We have practiced the terms for our family members, and our new biggest question is "¿dónde está?" (where is...?) as we learn terms for places in the community. 1st and 2nd grade Spanish are doing expanded units on the community. Each grade is incorporating their vocabulary to produce interesting sentences. First graders are learning to express possession in conjunction with family terms, and second graders are adding action verbs as well. The 3rd grade Spanish class is fully immersed in their novel Las Aventuras de Isabela. They've followed Isabela's adventures to the city of Guanajuato, México, where she's visited "una universidad" (a university), "una iglesia” (a church), "un mercado" (a market), "un parque” (a park), "un autobús" (a bus), and una zapatería (a shoe store). ...And we're only in chapter 5! The kids have learned many new vocabulary words for “around the house”. Using the verb “tener” they describe what they find in each room of the house. We worked on our picture dictionary “La casa” and read short stories to practice reading and pronunciation. The 5th graders expanded the food unit by learning the different groups and the Food Guide Pyramid. They worked hard creating a poster “Para Mantener la Salud” using their ideas and giving information on the topic. To communicate with people from Spanish-speaking countries in a meaningful way, students need to know something about their culture, so this month the junior high students immersed into the Latin culture. They gathered information from a variety of sources to help them create a presentation on a specific assigned topic: “Mis comidas”, “Mis celebraciones”, “Mi música”, and “Mis bailes”. They have all been extremely enthusiastic and through lots of practice, they improve their Spanish greatly with each week that goes by. to edit. March 19th: Barnes and Nobel Book Fair! March 28th-April 1st- Spring Break. Gym-Toward the beginning of the year Mrs. Arain discussed the 5 components of physical fitness with the students. Fitness isn't defined by appearance but by Muscular strength, muscular endurance, cardiovascular endurance, flexibility and body fat composition. Focusing on the first four, the 4th-8th grade students completed a competitive unit of dodgeball! Mrs. Arain even got in on the action. The classes have begun to slow things down and focus on flexibility with Yoga March Madness. The students are focusing on themselves and their inner peace. SEL- The Social Emotional Learning of our students is a top priority of the our administration and staff. After putting together a committee to dedicate time into the creation of an SEL curriculum that is tailored to our specific school. For 1st through 8th grade, we have decided to incorporate time management into our morning meetings and throughout the day. Our hands-on math workshop, held March 3rd, was a success! We had a nice turn out, with many parents excited to get their hands on the Montessori math materials. Parents had the opportunity to work with the Lower Elementary multiplication and division materials, as well as see materials from the pre-school and Upper Elementary classrooms. It was wonderful to see parents engaged and asking the same questions their children ask in school! ​Preschool/Pre-K: Our students mixed the three primary colors Red, Blue and Yellow. They made their own Orange, Purple and Green. Using those colors they created a masterpiece. Kindergarten: My 5 senses bear. A fun way to learn our senses. Students learned to add details like shadows and highlights to an apple. This was achieved with the blending technique. 2nd grade: Paper weaving. How cozy is that! Our second graders designed their own quilts. 3rd grade: Glue and chalk pastel art. Water color painting, wet on water color technique. Yarn weaving. Mini rugs created by our 3rd grade. 4th-5th grade: A lesson on Tinting, To create lighter values white was added. The resulting colors are called tints. They also learned the design element named value in Art. To achieve a darker value of a color, black was added. The more black you add, the darker the value. These colors are called shades. 6th-8th grade: We focused on energy on Relief Art. Check out our cool Owl!